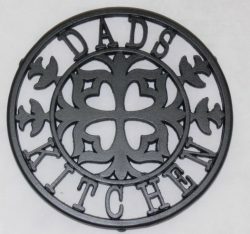 Bring a new sense of traditional flair to the home and protect your worktop with our sturdy decorative Cast Iron personalised Trivets, there are lots of trivets available so why not have something different and have yours custom made with your name, message and design cast into the trivet. 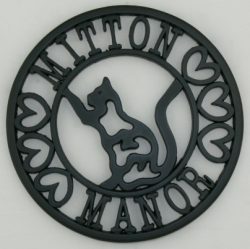 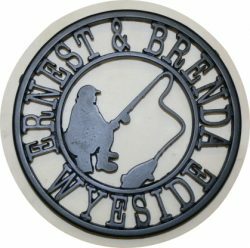 Our trivets are individually made to suit customer requirements using skilled methods of pattern-making and woodcarving. 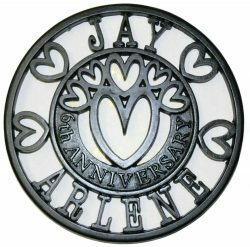 My professional skill of wood carving which I have mastered over many year’s gave me the creativity to become a skilled precision pattern maker. 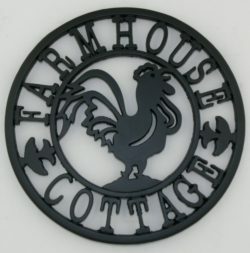 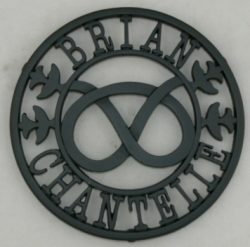 I combine both skills allowing me to design and produce my own cast iron products and design bespoke personalised gifts and products sort by the public. 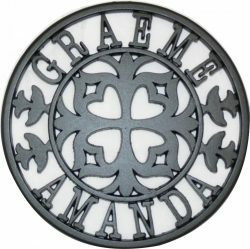 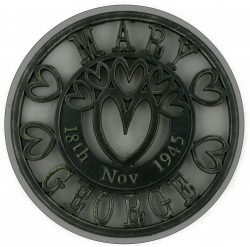 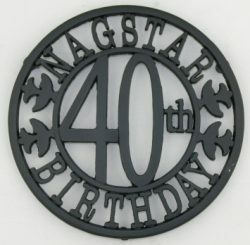 Personalised trivets makes a great anniversary, birthday, wedding, Christmas, mother’s day, father’s day, new home and outstanding presentation gifts all individually styled to make an outstanding eye catching practical accessory to the home and with the right care should last a life time. 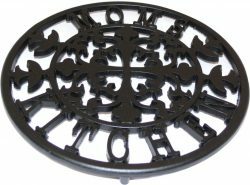 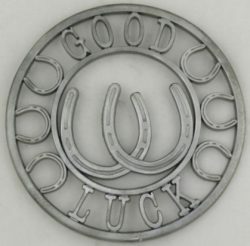 Our custom made trivets are quite flexible in design, we can add wording personalised in terms of key information names, dates and quotes, intricate detailed artwork centre decoration can be personalised for example with logos, figures or artistic designs to suit the occasion. 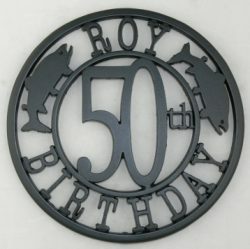 Each design is custom made and finished in Wolverhampton England by Robin Lumley. 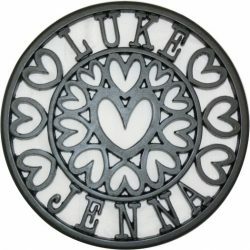 Personalized gifts created to your bespoke needs only available from Lumley Designs.